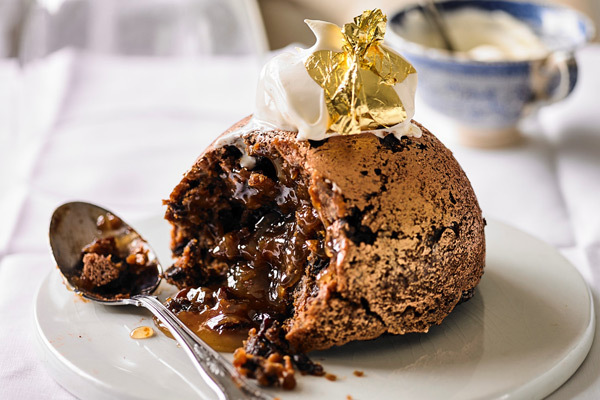 Our fantastic Heston from Waitrose range in the UK is filled with everything you could need to create an extra special Christmas, ranging from indulgent chocolates to festive classics with a twist. The range is bursting with almost 60 delicious products that are sure to be the centre of attention this Christmas. 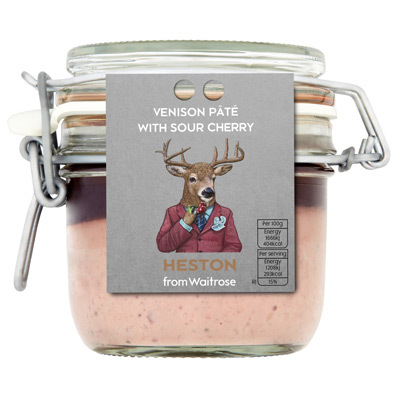 This year, amongst the new products, we are introducing a luxury Venison Pate with Sour Cherry. Three layers of coarse, smoked venison followed by smooth venison with a touch of chocolate and finally a top layer of sour cherry and kirsch. Another fantastic product hitting the Waitrose stores this year is the show stopping Black Forest Panettone. We aim to take shoppers on a nostalgic journey with this traditional Christmas sweet bread – inspired by Heston’s favourite dessert. The Black Forest panettone is made with cherries and kirsch, then topped with dark chocolate and decorated with sour cherries. 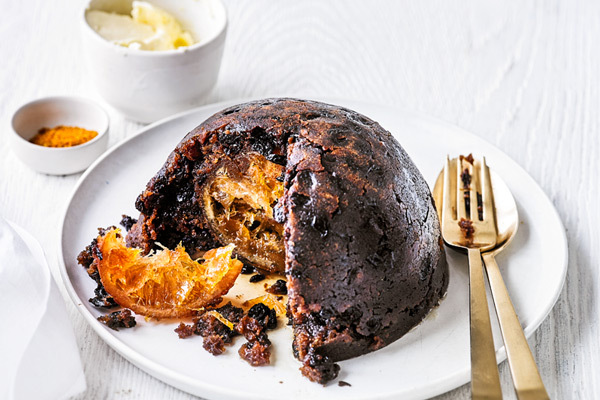 Our 2017 range would not be complete without the return of Heston’s famous Hidden Orange Christmas Pudding and the delectable Persian Christmas Pudding, inspired by classic Persian flavours, Heston has worked his magic on the festive staple by adding apricots, pomegranate liqueur, pistachios, caramelised orange and Middle Eastern spices. In the centre of the pudding is a fragrant honey and rose butter, and it is topped with a shimmering copper finish. The Spiced Shortcrust Mince Pies with a Lemon Twist and Ultimate Chocolate Truffle Cake will also make a comeback. The show-stopping giant truffle encases layers of rich chocolate sponge with hazelnut liqueur flavoured ganache and buttercream and the lemony mince pies, inspired on a recipe from a dessert at Dinner by Heston in London, have just the right amount of zestiness to balance the richness of the mincemeat. The Heston from Waitrose Cracking Chocolate Bites are bound to go down a treat with guests. The eight mini bites are super smooth with rich chocolate and passionfruit ganache, on a cracking popping candy and hazelnut wafer base. Back again is Heston’s stunning Edibaubles Chocolate Collection. 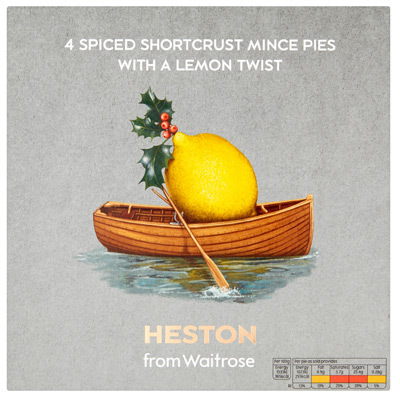 All made with Heston’s favourite festive flavours in mind; gingerbread, stollen, eggnog, chocolate wine, candy cane and Hidden Orange Pudding. There’s also Heston’s Earl Grey Tea Stollen and 12 Mini Earl Grey Tea Stollen Bites with the essence of Christmas packed into every mouthful. The buttery brioche is full of fruit, marzipan and mincemeat, which is then infused in bergamot scented Earl Grey and lightly dusted with tangerine-flavoured sugar. One of our favourite products that also on hand to ensure every household has a turkey that is cooked to perfection with the Turkey Brining Kit with Herb Butter and Poultry Jus. To help you achieve the ultimate turkey roast, it comes with a brine for you to add succulence and flavour, a herb butter to baste and a rich, silky jus for you to finish with. Our succulent Sweet & Spiced Mincemeat Gammon is also available – a smoked, dry cured gammon with a mincemeat stuffing and ginger glaze.Christmas is one of our favourite times of the year. We work very hard with Heston and the amazing team at Waitrose to ensure that every product is truly unique and has the Heston magic factor. We are very pleased with the range of products that we are launching this Christmas. From a nod to the 70’s with the Black Forest panettone, to a rich and indulgent venison paté, this new range is perfect for sharing with family and friends this year.